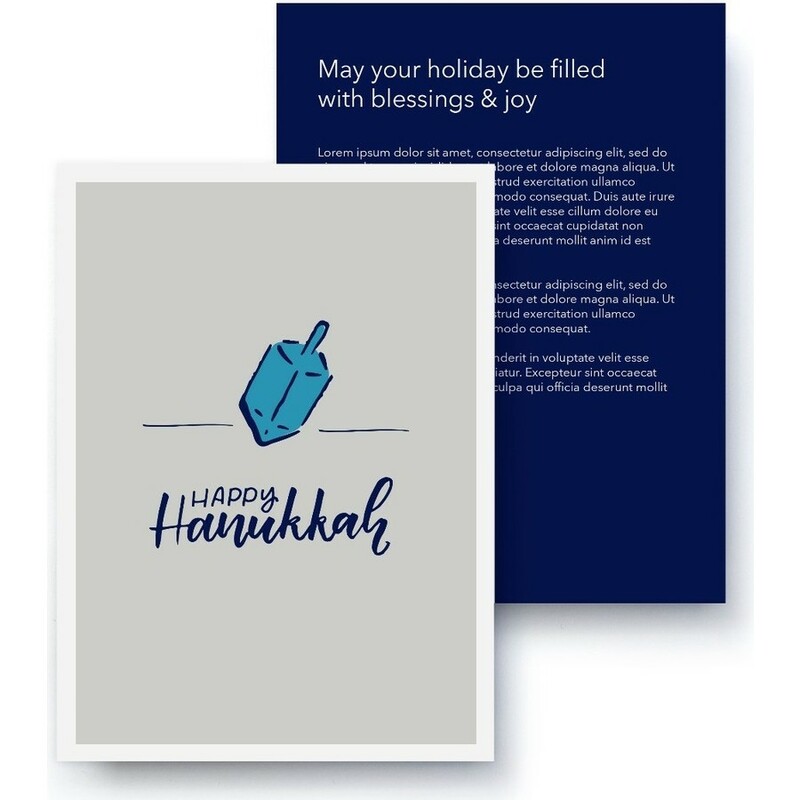 Spread joy this holiday with a fun and simple Hanukkah card, with plenty of room to tell of all your year's adventures. 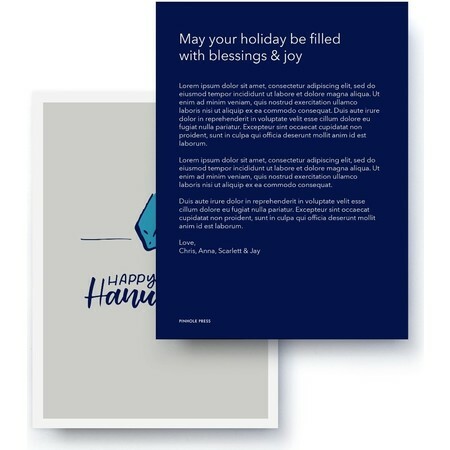 A Rachel Joy custom designed holiday card. Letter Card.